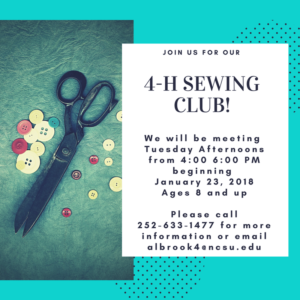 We are excited to be starting a special-interest sewing club and project in 2018. This page will have information and updates on our sewing classes as well as the materials lists that you will need for the project. Check out our BLOG to see our adventures in sewing! 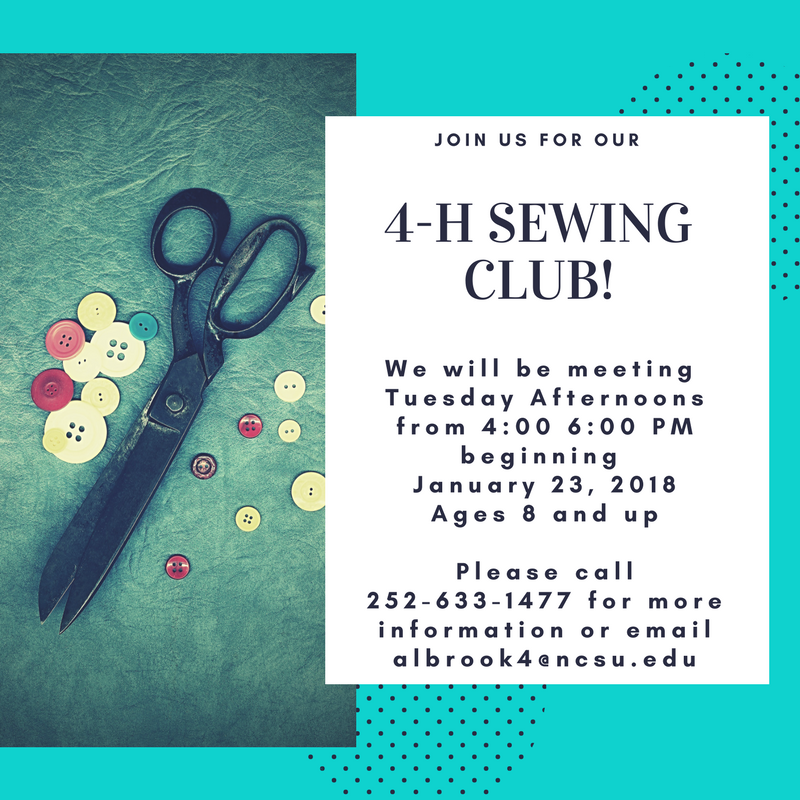 Just as a reminder, if you were unable to make last week’s meeting, you need to let me know if you cannot find a pattern, but you will need to make sure that you bring material and thread. If you have questions, please don’t hesitate to contact me! If you would like to bring your machine next week, that is recommended, but not required. We will meet at Wal-Mart and go to the fabric section. We’re going to be looking at our fabric options, talking about budget, how fabric is chosen, and what they need to have for sewing projects. We are SEW EXCITED! Also, don’t forget the assignment to write down what you want to make, the material you want to make it with, and the colors you want to use. Then draw a picture of your design, what you think it should look like, with details. Do you want pockets, zippers, buttons, sleeves, or something you make up yourself? The options are endless! Join us as we begin a series of classes in sewing with an amazing new science-based curriculum thanks to our sponsor, Marie Mynster! We are so excited to be offering these classes. We are going to be meeting every Tuesday beginning January 23, 2018 until our project is complete. Most days, the location will be at the Craven County Extension Office, but we will be taking a couple of trips to look at purchasing fabric and types of fabric. The class will last approximately 8 weeks (we want to make sure youth get to finish their project) and they will have an opportunity to continue to sew if they would like after this is concluded.